Kristen practices in the Seattle office, providing representation to state-fund and self-insured employers, as well as retrospective ratings groups under the Washington State Industrial Insurance Act, Washington Industrial Safety & Health Act, and Industrial Welfare. This includes representation through every stage of an LNI tax audit, business and personal liability defense regarding assessments imposed by LNI for unpaid tax premiums, defense against wage claims filed by employees, negotiations and litigation of safety violations resulting in WISHA citations issued by LNI, and creative problem solving concerning management and litigation of workers’ compensation claims. Kristen has experience representing clients in Superior Court, before the Board of Industrial Insurance Appeals. and at the Department of Labor & Industries. 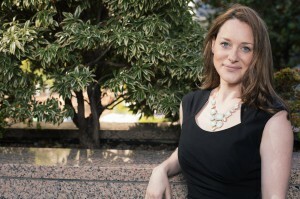 Prior to becoming a lawyer, Kristen had a lifetime of experience in and around the construction trades by virtue of participation in her family’s general contracting business in Alaska. Kristen also comes from a family of pilots and hopes to one day join the aviation ranks by getting her pilot’s license, but for now she is happy to leave flying to the birds. During law school, she served as a Staff Editor for the Florida Coastal Law Review, a Moot Court Honor Board member where she received an award for Best Brief Fourth in the Elon Law National Moot Court Competition, and received the Dean’s Merit Scholarship Award. Since joining the firm, Kristen has served as a board member and officer of Professional in Workers Compensation, a local non-profit organization committed to education and networking in and among the Puget Sound region workers’ comp. community. When she can, Kristen volunteers her time to provide legal services to veterans through the Washington State Bar Association Call to Duty and continues to pledge her commitment to this program.